Since 1956 our flying club "Luftsportverein Günzburg e.V." provides its members with opportunities to engage in sports flying activities. Our membership consists of all kinds of different walks of life: From school kids, students, salaried employees, officials, self employed people to retired citizens all groups are well represented. One main area of our activities is the voluntary community service of flight training with the target of private pilots licences. For many of us this is the base for a later employment and career around flying. This we actively pursue as youth work, guided by the legal regulations and statutes for a non profit organization. 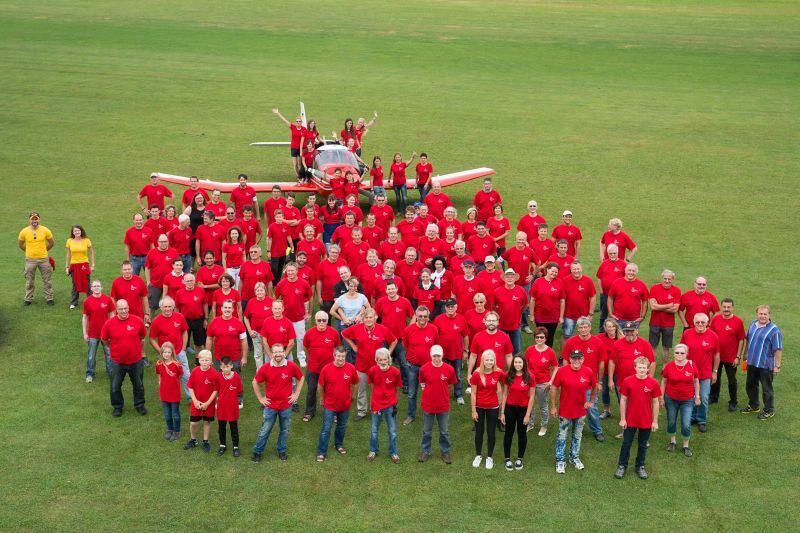 Since many years our club is heavily engaged in charity work at Günzburg, for example at our annual flying day for the disabled, at annual vacation activities for school kids as well as activities concerning regional marketing of the Günzburg area. As club aircraft we utilize only modern and especially noise reduced microlights and single engine airplanes. The club and its members run the special airfield Günzburg-Donauried (ICAO designation: EDMG), located approximately 2km outside of the city of Günzburg, which serves as an ideal homebase for airplanes and microlights.